Azizi Developments, one of the leading private developers in the UAE, has expanded the Bayt by Azizi concept to one of its premium developments in Azizi Riviera, the group's flagship master-planned community in Meydan One. Bayt by Azizi assures owners higher returns by having their homes managed and serviced for them, said the developer in a statement. This follows the strong sales response to the launch of the first phase of Bayt by Azizi in Dubai Sports City, it stated. 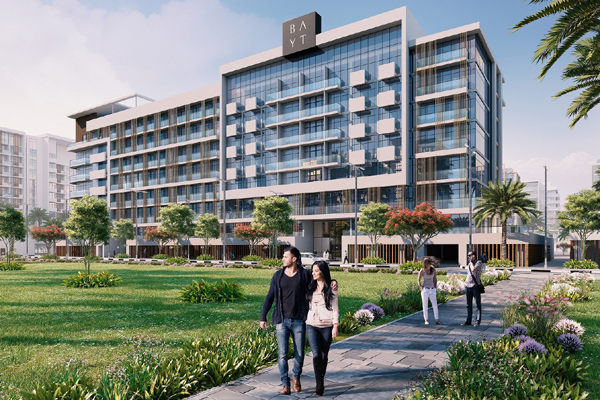 Drawing inspiration from the French Riviera lifestyle, Azizi Riviera stands out for its mega-integrated retail boulevard of more than 1.6 km in length that features a multitude of eatery, lifestyle and convenience options. Located on the banks of the Dubai Canal, Azizi Riviera is a vibrant hub with a canal walk of over 2.6 km, granting a premium waterfront lifestyle complemented by equestrian and golfing facilities in its vicinity. Les Jardins, a vast lush green social space that spans across all of Azizi Riviera, is also easily accessible from the development. Upon completion, Azizi Riviera will comprise 71 mid-rise buildings with over 16,000 residences, including studios and one-, two-, and three-bedroom apartments. The Dubai developer has already completed 39 per cent of the construction with the first phase of homes set for handover in December 2019. Through the new concept, Azizi Developments provides registration, licensing, and hotel-quality service while undertaking all interior design and marketing functions as well as guest management, coordination, and premium maintenance services. This relieves customers of the hassle associated with short-term letting and guarantees a substantially higher RoI, it added. Introduced to Azizi Riviera due to popular demand, the concept enables owners to reside in their apartments as they please, while allowing Azizi to rent them out in their interim vacancy, allowing for more flexibility and maximum occupancy. CEO Farhad Azizi said: "As a research-driven developer that is led by a customer-first mind-set, we observed an increasing demand for short-term rentals that generate more value over long-term letting." Conceived for investors and welcomed by tenants, the short-term home-rental concept at Azizi Riviera is available in the form of studios and one-bedroom apartments.